Transport Planning and Land-use is rather complex since it covers various aspects related to it. The two main aspects are the general spatial and land-use patterns that have an impact on transport volumes and the spatial/land-use requirements of transport infrastructure. The first aspect is related to the growing sub-urbanisation and urban sprawl, which have led to increasing dependencies on the private car and to substantially increased trip lengths. Widespread ownership and use of cars is also related to this phenomenon. The second aspect requires us to distinguish between different transport modes, which have varying land-use requirements. In urban areas, spatial needs of transport infrastructure are usually considerably higher than in rural areas and rise up to around 10-15 per cent of total land-use. 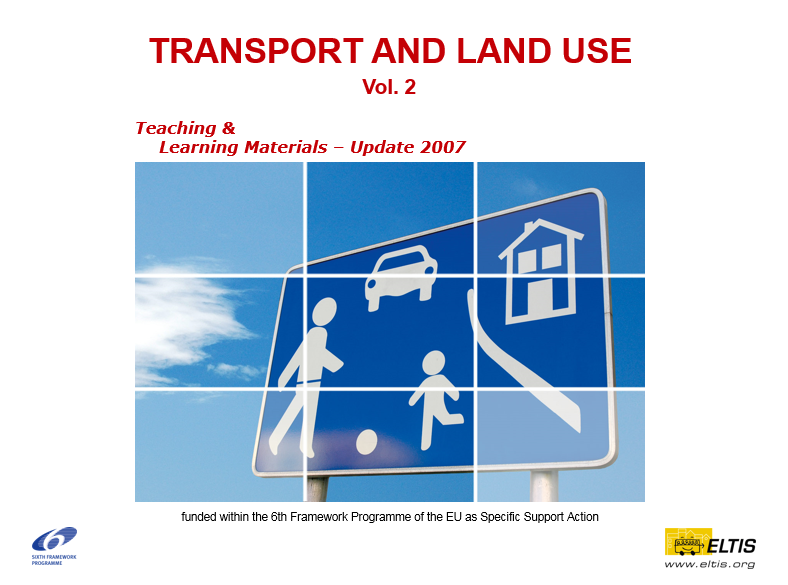 This training material covers the issue of transport and land-use policies generally and in particular for increasing urban sustainability; the reduction of travel demand in Europe; the socio-economic and spatial impacts of transport infrastructure investments and transport system improvements; procedures for recommending optimal sustainable planning of European city transport and generally the interaction between transport planning, land-use and sustainability.